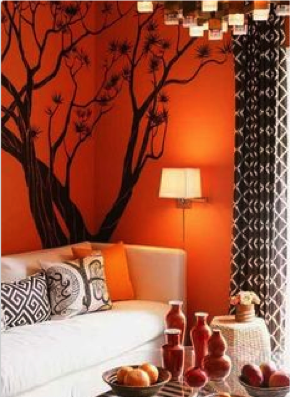 I have had so many clients of late asking for bright coloured feature walls, great idea! But we must always know what the colour we choose will ultimately do to our mood- yes home colours affect mood! A certain colour can imbue happiness, but that very same colour when overused or used in the wrong room can create anxiety and anger. I love what I do, so I do not want to be the reason for in-home fighting hehe. Colour affects people in many ways, depending on age, gender, ethnic background and climate, yes, the colour of your skin and where you were born have an effect on which colour best suits you, there is indeed science to the creativity. With that said, certain colours (or groups of colours) tend to get a similar reaction from most people; the variations come from the shades or tones used. 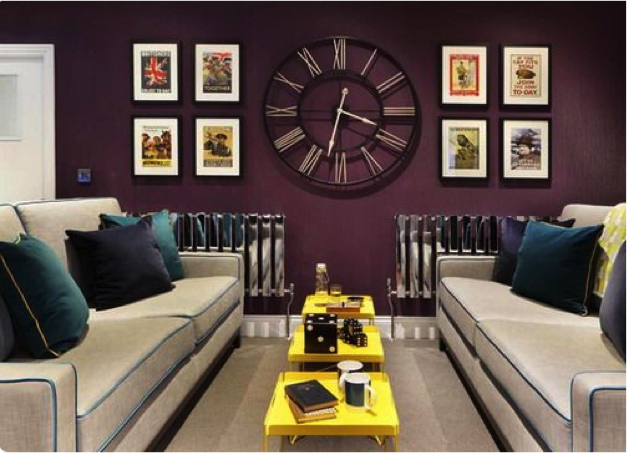 This is why it’s so important to choose colours wisely when it comes to decorating your home. You don’t have to worry about trends in order to have a beautiful home. Colour trends will come and go, I always tell clients to tell me how they want to feel when they enter their space, and that is what we will base the colour thinking from. The trick is to blend the colours you like into a functional, mood enhancing and aesthetically pleasing combination. 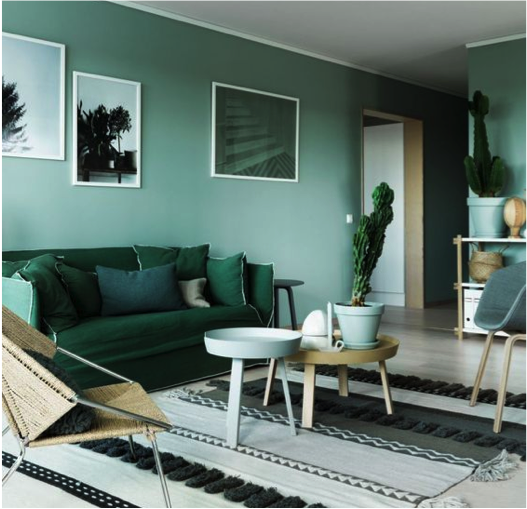 Colours act in three basic ways: active, passive and neutral.. Light colours are expansive and airy, making rooms seem larger and brighter. Dark colours are sophisticated and warm; they give large rooms a more intimate appearance. Below are some basic colour mood facts. Raises a room’s energy level. The most intense colour, it pumps the adrenaline like no other hue. It is a good choice when you want to stir up excitement and get the heartbeat going. 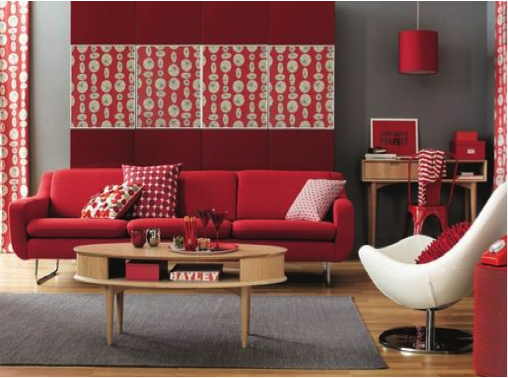 In the living room or dining room, red draws people together and stimulates conversation. In an entryway, it creates a strong first impression. Red has been shown to raise blood pressure and speed respiration and heart rate. It is usually considered too stimulating for bedrooms, but if you’re typically in the room only after dark, you’ll be seeing it mostly by lamplight, when the colour will appear muted, rich and elegant. Yellow- such a popular colour of late! Captures the joy of sunshine and communicates happiness. It is an excellent choice for kitchens, dining rooms and bathrooms, where it is energizing and uplifting. 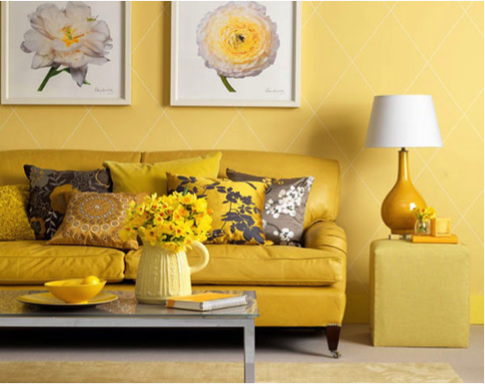 In halls, entries and small spaces, yellow can feel expansive and welcoming. Even though yellow although is a cheery colour, it is not a good choice for main colour schemes. Studies show that people are more likely to lose their temper in a yellow interior. Babies also seem to cry more in yellow rooms. In large amounts, this colour tends to create feelings of frustration and anger. Use cautiously. Is said to bring down blood pressure and slow respiration and heart rate. That is why it is considered calming, relaxing and serene, and it is often recommended for bedrooms and bathrooms. To encourage relaxation in social areas such as family rooms, living rooms or large kitchens, consider warmer blues, such as periwinkle, or bright blues, such as cerulean or turquoise. 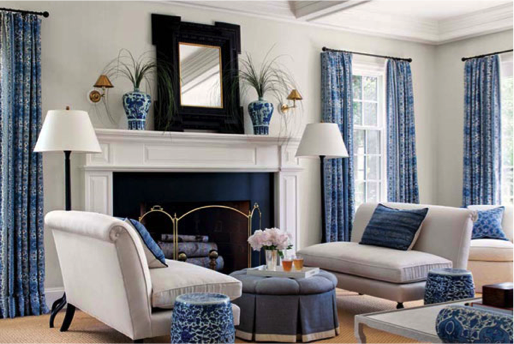 Blue is known to have a calming effect when used as the main colour of a room — but go for softer shades. Dark blue has the opposite effect, evoking feelings of sadness. Refrain from using darker blues in your main colour scheme. In the kitchen, green cools things down; in a family room or living room, it encourages unwinding but has enough warmth to promote comfort and togetherness. Green also has a calming effect when used as a main colour for decorating (TREES! TREES! TREES!). It is believed to relieve stress by helping people relax. It is also believed to help with fertility, making it a great choice for the bedroom, so if you’re in the business of making babies, get a painting! In its darkest values (eggplant, for example), is rich, dramatic and sophisticated. It is associated with luxury and creativity; as an accent or secondary colour, it gives a scheme depth. Lighter versions of purple, such as lavender and lilac, bring the same restful quality to bedrooms as blue does, but without the risk of feeling chilly. BRINGS IT ALL TOGETHER! They are basic to the decorator’s tool kit. All-neutral schemes fall in and out of fashion, but their virtue lies in their flexibility: Add colour to liven things up; subtract it to calm things down. Evokes excitement and enthusiasm, and is an energetic colour. While not a good idea for a living room or for bedrooms, this colour is great for an exercise room; it will bring out all the emotions that you need released during your fitness routine. In ancient cultures, orange was believed to heal the lungs and increase energy levels. 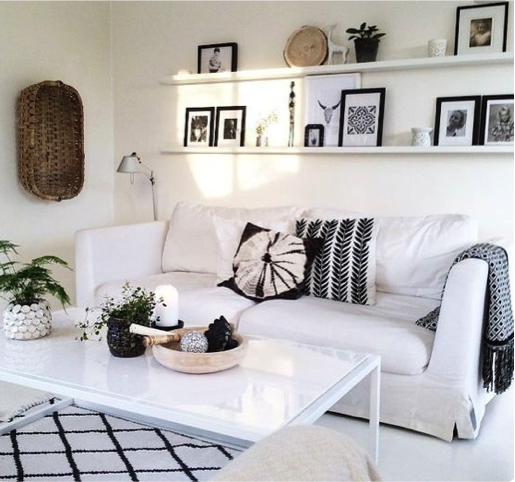 Black is best used in small doses as an accent. Indeed, some experts maintain that every room needs a touch of black to ground the colour scheme and give it depth.